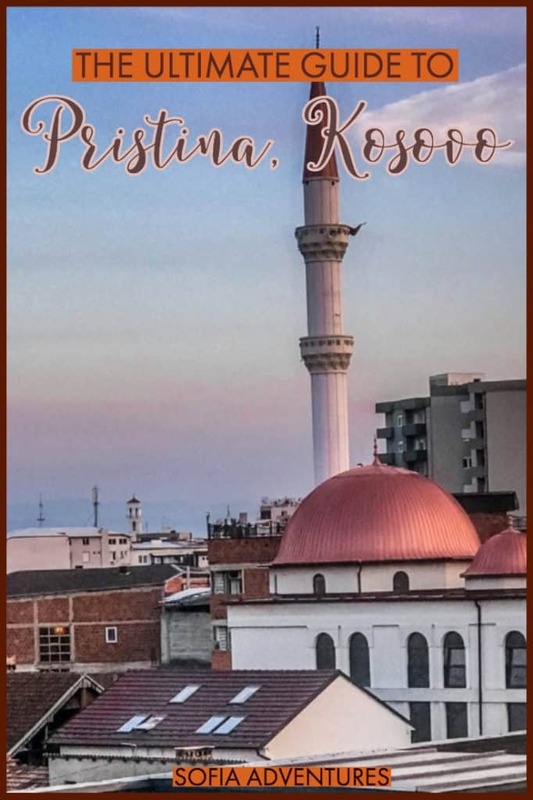 hether due to (mostly misplaced) worries about the political climate, the opacity of proper visa and passport procedure to visit Serbia and Kosovo back-to-back, or traveler’s desire to simply check Kosovo off as they count countries, Pristina has been a victim to modern travel writing. Yet the city is super cool, and I found that spending nearly a week there wasn’t quite enough to enjoy everything I wanted. 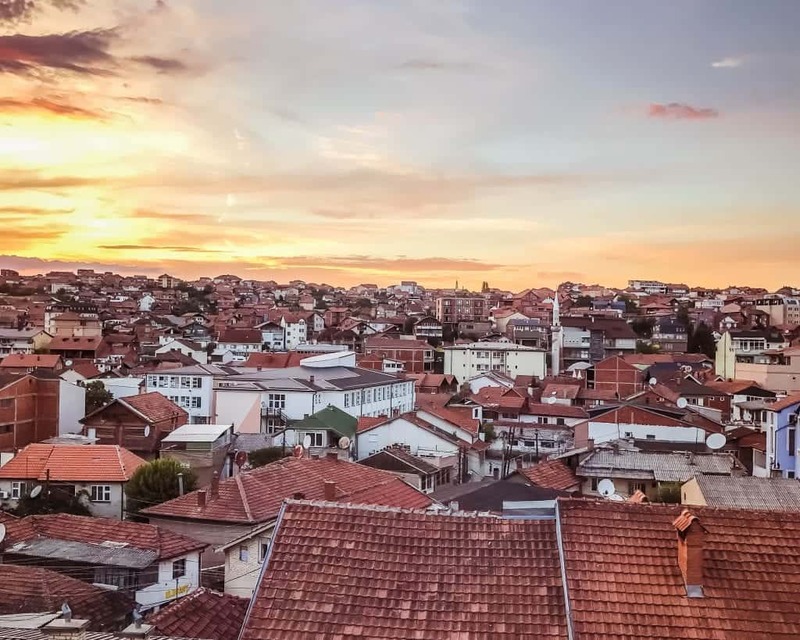 So here are our recommendations for the best things to do in Kosovo, plus where to stay and more Kosovo travel resources to help you plan your trip. Want to save this post for future reference? Pin it! Budget: If you want a hostel with an awesome location, book a bunk at Hostel Han. 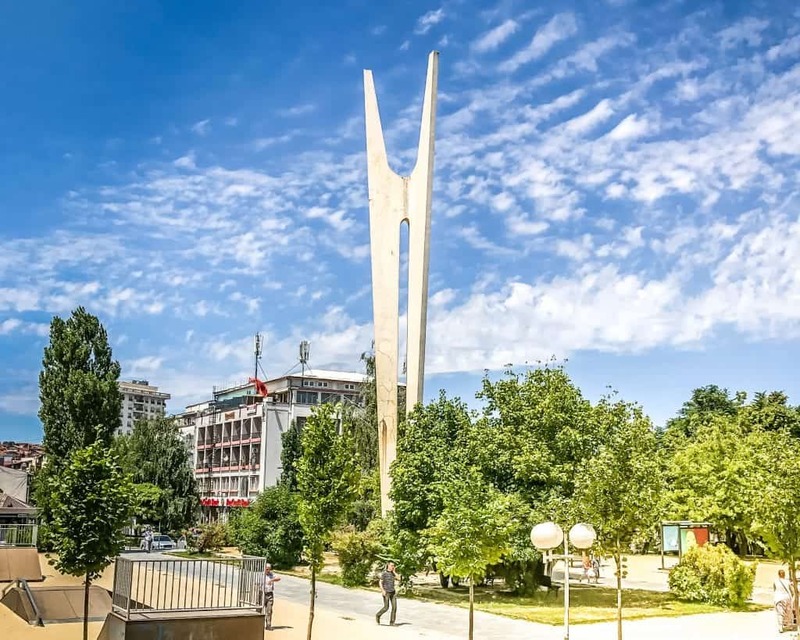 The center of Pristina is fairly walkable, and here you’ll be able to take advantage and get out an explore the city center. Rooms are bright and clean, and the bunks have individual privacy curtains to give you some space when you get back to the dorm. Check rates and availability here. If you are traveling in peak season, be sure to book online, as Hostel Han is popular and tends to get booked up. Mid-range: Located near the beautiful Gërmia Park, Hotel La Familia Residence is a four-star hotel that has a swimming pool, fitness center, and massage chairs onsite. While it’s outside of the city center (about twenty-five minutes on foot), it’s got awesome views of the city to enjoy. It’s a great bargain, too – check rates, reviews, photos, and availability here. Luxury: For a luxurious Pristina stay, check into the Hotel International Pristina & Spa. You can enjoy the hotel’s wide array of amenities, including the sun terrace, hot tub, sauna, pool, hotel bar, and onsite restaurant. Rooms are up-to-date, with modern furnishings and relaxing ensuites. You’ll absolutely love the skyline Pristina views. Check rates, reviews, photos, and availability here. 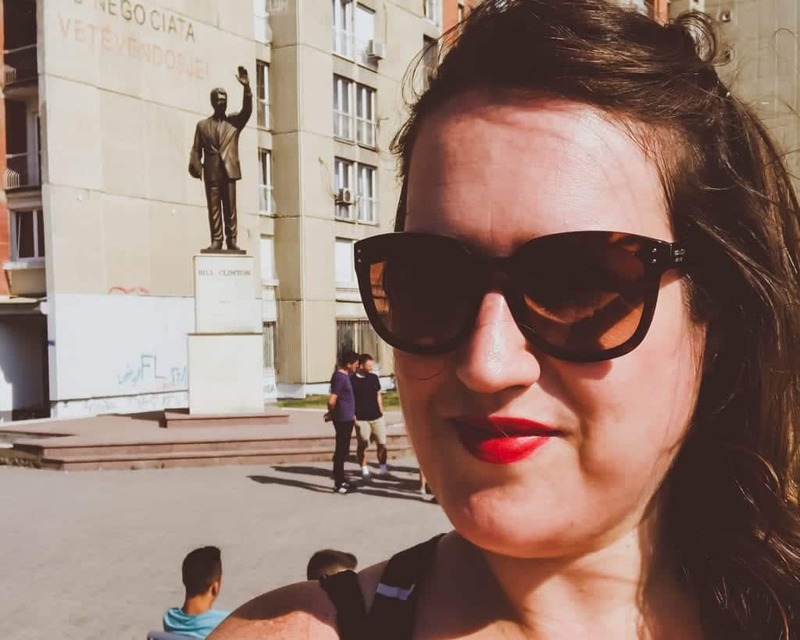 So many people just pop into Pristina for a day or two while on whirlwind Balkan backpacking trips, but Allison and I each spent about a week there. 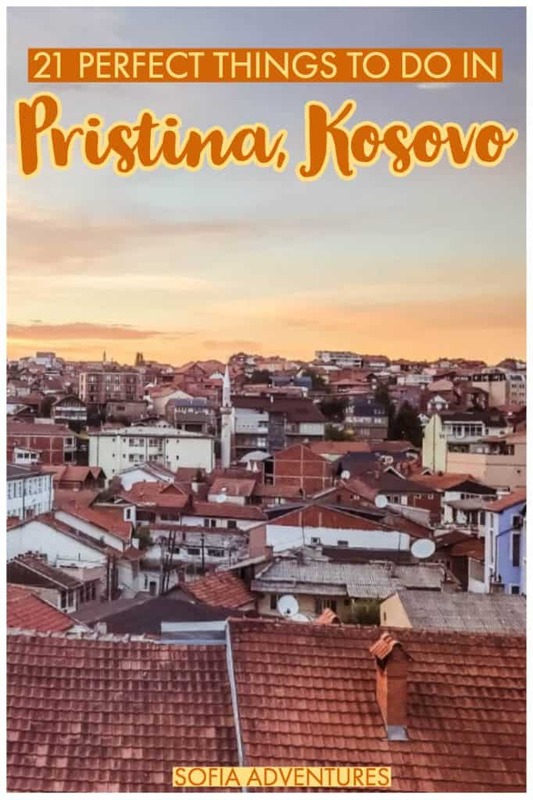 Two weeks of total Pristina exploring time really showed us how much there is to do here, and our favorite Pristina activities include both the traditional stuff everyone says to do plus some of our own favorites. 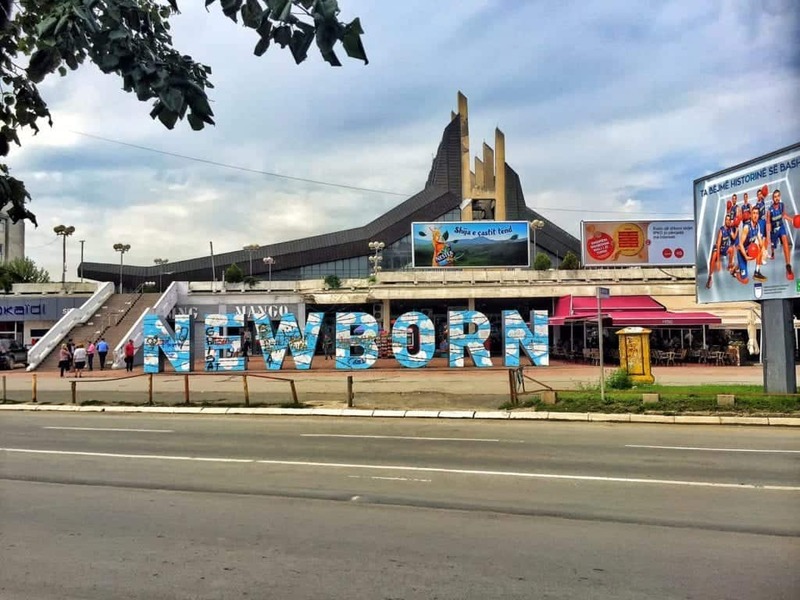 The Newborn Monument is a statue that celebrates Kosovo’s place as Europe’s newest country. Unveiled on the day that Kosovo announced its independance from Serbia, it is repainted annually to signify a new theme for the year. When I saw it, it had two letters placed on the ground, while in 2010 it had the “b” replaced with a “1” to read NEW10RN, celebrating Kosovo’s tenth anniversary of Independance. 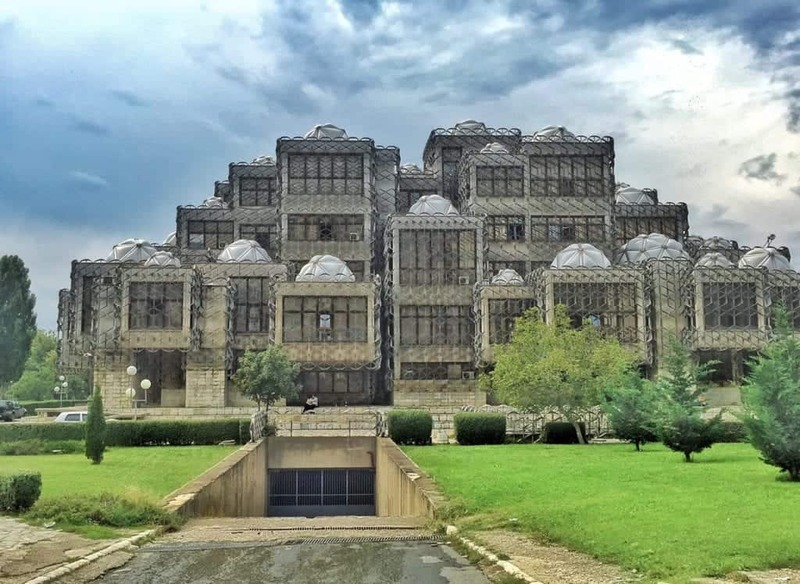 Fondly referred to as one of the world’s “ugliest buildings,” the Kosovo National Library is a brutalist masterpice from the 1980s during the Yugoslav era. From the side the buildings seems more like a prison than a library, and the (73!) white domes are supposed to represent the white hats of Kosovo’s national costumes. The white domes and brown cubes are supposed to resemble a modern take on the blend of Ottoman and Byzantine architecture that is present throughout Kosovo. For those who don’t find brutalist architecture pleasing, the drone shots of the roofs (see an example here) are quite magnificent. If you want your own drone shot, make sure to follow all local regulations. The library does have a dark past (as do so many places in the former Yugoslavia). It was used as the Serbian army headquarters in 1999 during the Kosovar War for Independance. Located behind the National Library of Kosovo, the Kosova National Art Gallery is the most important art museum in the country. Located in a former Yugoslav army barracks, the space alternatively served as a library and architecture museum during the second half of the twentieth centure. In 1995, the space was formally turned into the current Contemporary art museum. 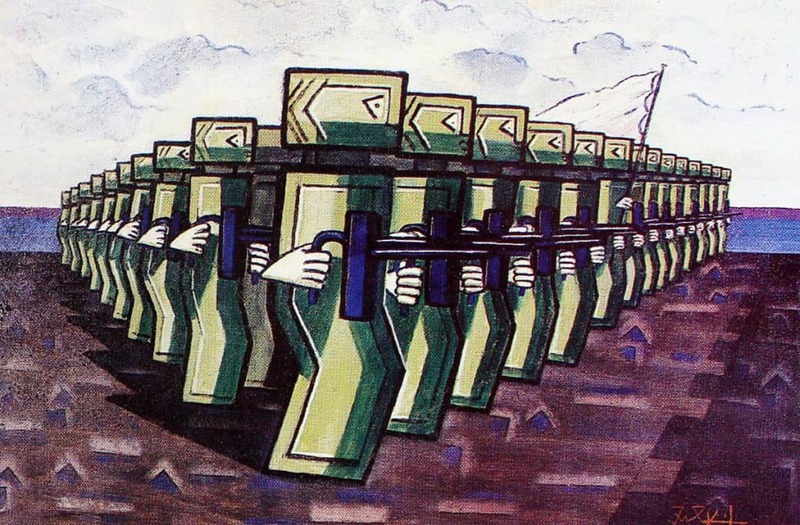 There are many works here by Muslim Mulliqi, Kosovo’s most important artist of the twentieth century, along with dozens of other important Kosovar artists. 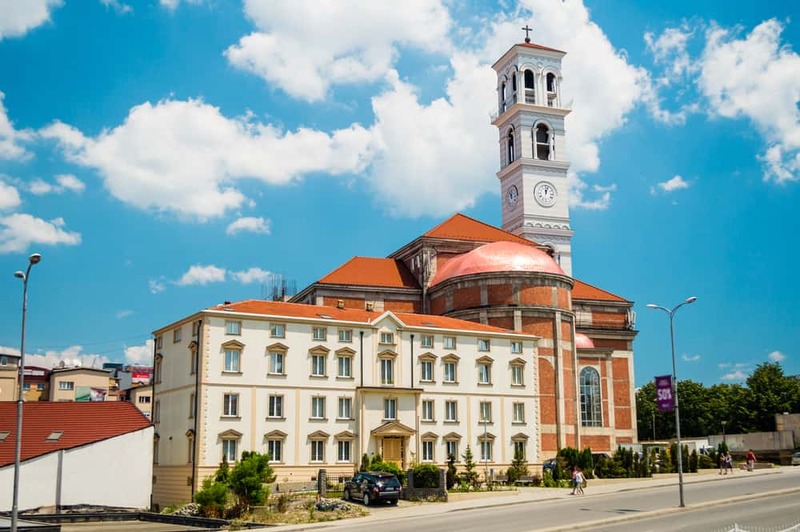 While Kosovo is predominantly Muslim with a Serbian Orthodox minority, one of the most important religious sites in the city is the Roman Catholic Cathedral of Saint Mother Teresa. While she was born in modern-day North Macedonia, she is ethnically Albanian and therefore extremely important to the people of Kosovo. The cathedral was inaugurated in 2010 on the hundredth anniversary of her birth. Bill Clinton is beloved by Kosovo, becuase of his integral role in supporting Kosovo in the 1998-99 Kosovo that lead (eventually) to Kosovo’s declaration of Independance. President Clinton came and spoke at the statue’s uneveiling in 2009. The statue is eleven feet high, so it might be difficult to give it the high-five that he seems to be asking for, but feel free to give it a try with the help of photography (forced perspective or Photoshop-the choice is up to you). If you still aren’t over the 2016 US election (the disaster that just keeps on giving), there’s one place in Kosovo where Hillary gets the respect she deserves. 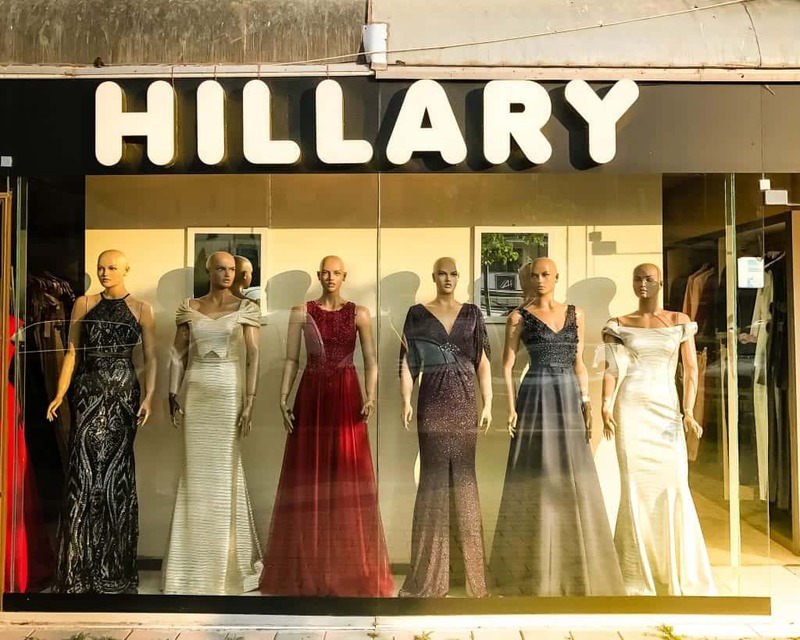 The Hillary store down the block from the Bill Clinton statue sells gowns fit for an Inauguration and pantsuits in colors for every day of the week. 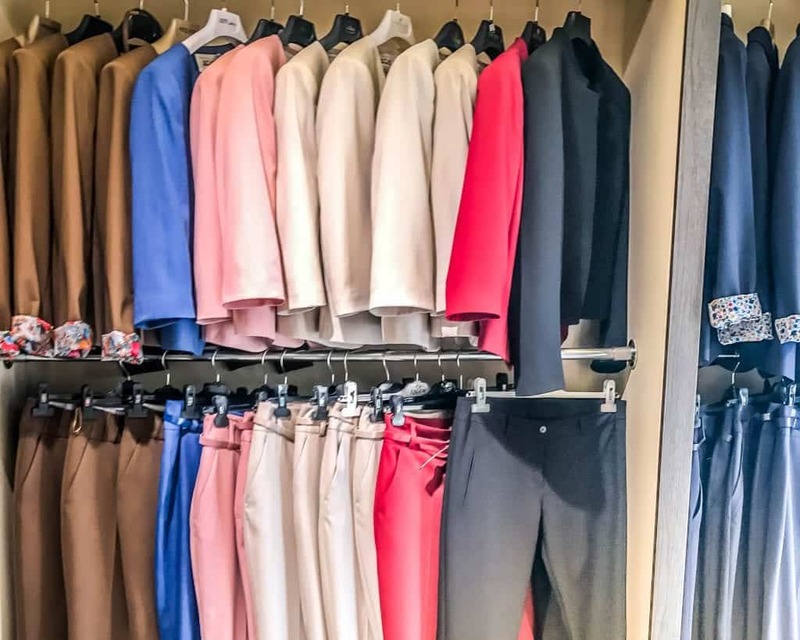 Should you NOT want to actually purchase a pantsuit or ball gown, if you come inside and take a photo whle you’re covered in sweat, the clerks will definitely look at you strangely. It would be a shame to visit this Muslim-majority country and not step foot in one of Pristina’s historic mosques. You can choose from a number of them. The Sultan Mehmet Fatih Mosque, also known as the Imperial Mosque, was built in the fifteenth centure. Or you can visit the nineteenth-century Jashar Pasha Mosque located in the old quarter or even the Carshi Mosque, also known as the Taş Mosque or Stone Mosque located near the Pristine spomenik. Whichever you choose, these are all cultural monuments as well as religious sites. Women should cover their heads to enter, and everyone should dress modestly and remove their shoes. 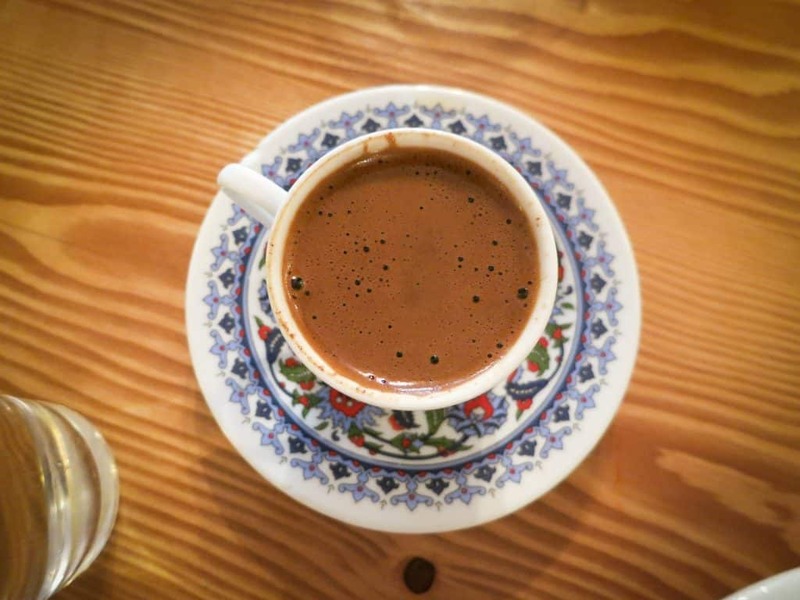 While most former Ottoman occupied countries in the Balkans love Turkish coffee, most have rebranded the name. Not Kosovo, where it’s perfectly find to refer to the thick stuff as “Turkish.” Kosovo’s Islamic legacy means that while they’re fiercely into their Independance, they aren’t so quick to get upset about Turkey’s legacy here. Cafes in Pristina range from fancy, modern spots to pound your double espresso to more traditional spots where you can slow down and people watch for hours. It’s common for some Kosovars to spend hours every day socializing over coffee. Officially known as the “Monument to Brotherhood & Unity,” the Pristina Spomenik is a 1960s Yugoslav monument. If you like traveling through the former Yugoslavia, you’ll no doubt run into Spomeniks all over the region (some of our favorites are in Belgrade and Bosnia). If you love spomeniks, too, bookmark the Spomenik Database. The database is working to gather information about all of the remaining Yugoslav monuments. Whie this monument isn’t being actively protected by the local government, red tourism can help save sites like this. A great example is Buzludzha in Bulgaria, which is being saved by people working outside of the governement. So come see it, photograph it, Instagram it, and make people see that you care about saving these historical monuments. Maybe the Kosovo and Pristina government’s will listen. There are some cities where the urban walk is a part of life. Rome comes to mind, but so does Pristina! Here locals go on a Xhiro (prounounced like gyro), a walk through the city’s main squares or streets. You can walk off your latest meat plate, or you can pick a spot in a cafe and watch the people go by. 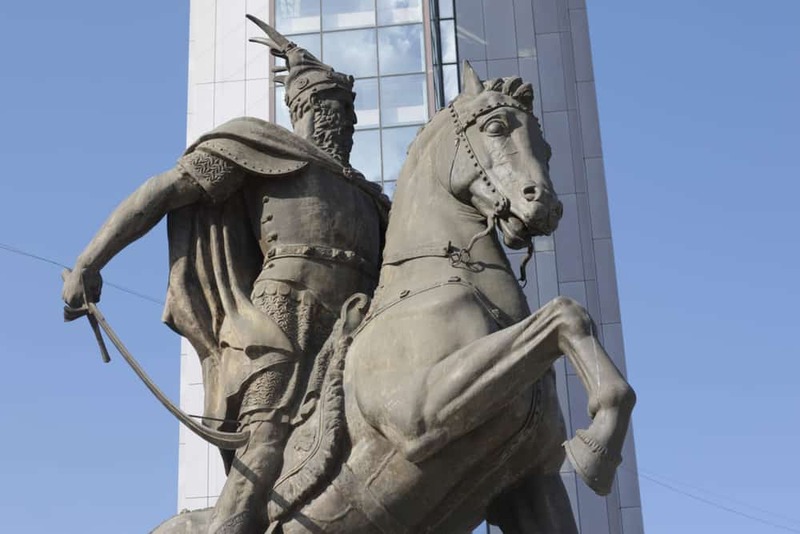 Every city in Europe seems to have a prominent equestrian statue, and this statue of Skanderberg (alternatively Sheshi Skënderbu) on his namesake squre is it for Pristina. Skanderberg was an Albanian national hero who worked to overthrow the Turks, and the statue’s prominance signals Kosovo’s historic ties to Albania. 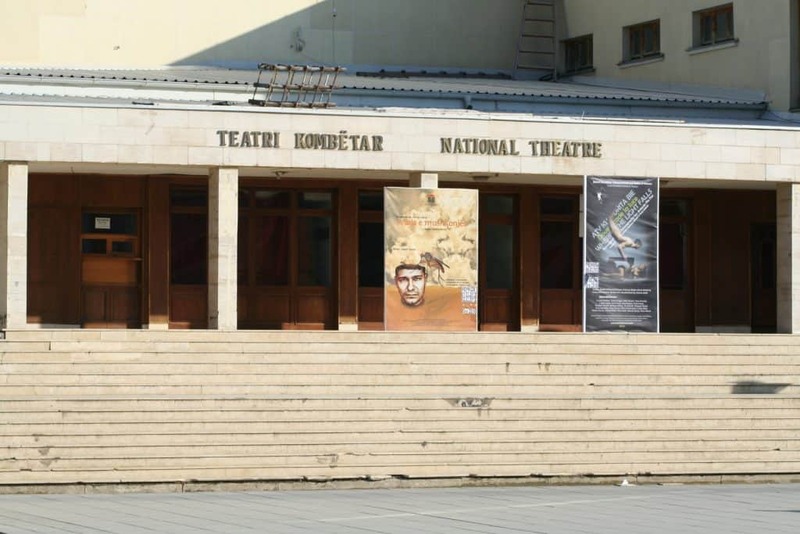 Allison actually got to see a free performance of Swan Lake at the National Theater of Kosovo during her time here, but I didn’t have such luck. If you’re interested in seeing a performance while in the city, check out their calendar of upcoming events. 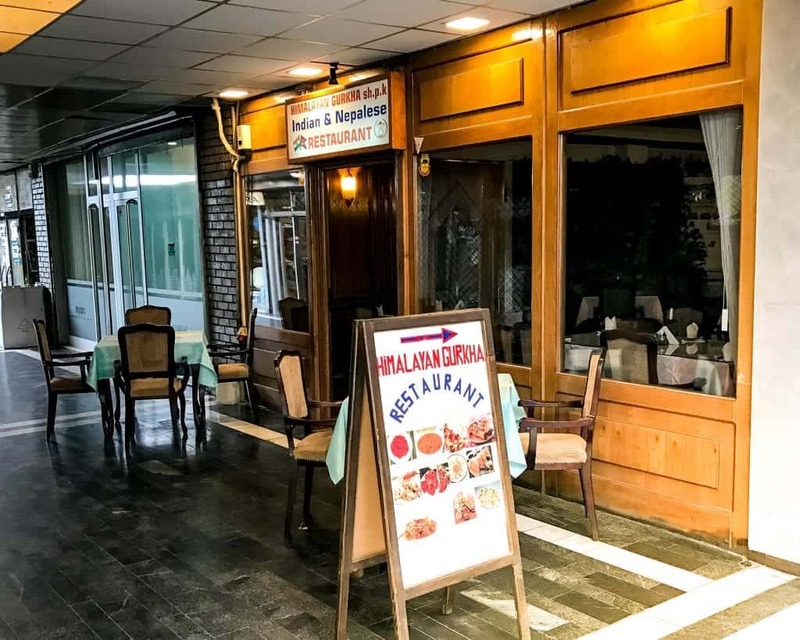 While the historic fifteenth century Ottoman bazaar no longer exists in Pristina, you can still enjoy an open-air market experience by heading to the current bazaar. 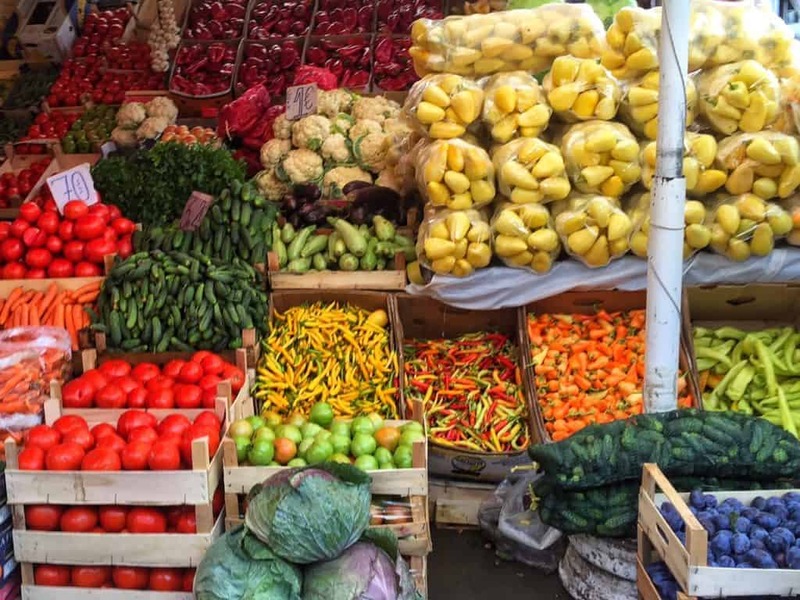 Similar to the markets you’ll find in the rest of the Balkans, the Pristine bazaar sells everything from old cell phones to fresh produce to kitchen appliances. Bring cash if you want to buy anything. 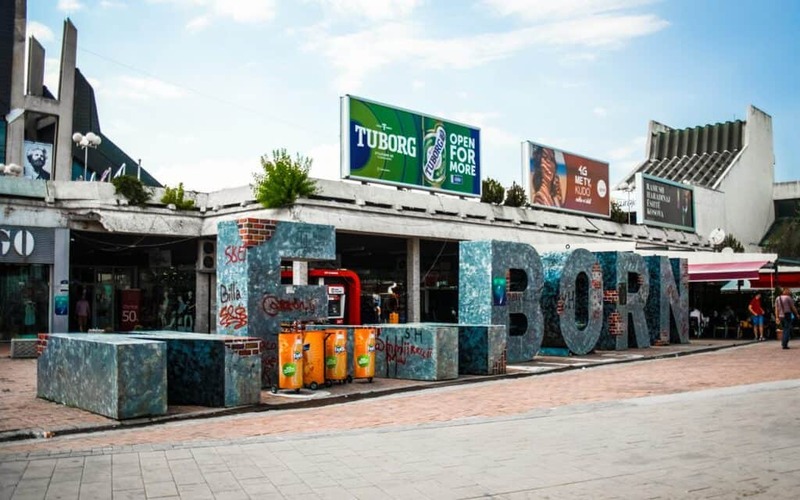 I found shopping in Kosovo to be a singular experience, even in the Balkans. The H&M is located inside another store, and many brand names don’t have any stores here at all. Traveling in the middle of a heat wave, though, I needed more (lighter-weight) clothing to survive the brutal temperatures. I loved shopping in the city, even when I was shopping brands I could find elsewhere it was a unique experience since I had to go out of my way to find them. This nineteenth century landmark is a protected cultural monument. It originally stood near the Old Bazaar and marked the times for the call to prayer, but these days it functions with an electronic time piece and is more of a memory to a bygone era than an important part of daily life. 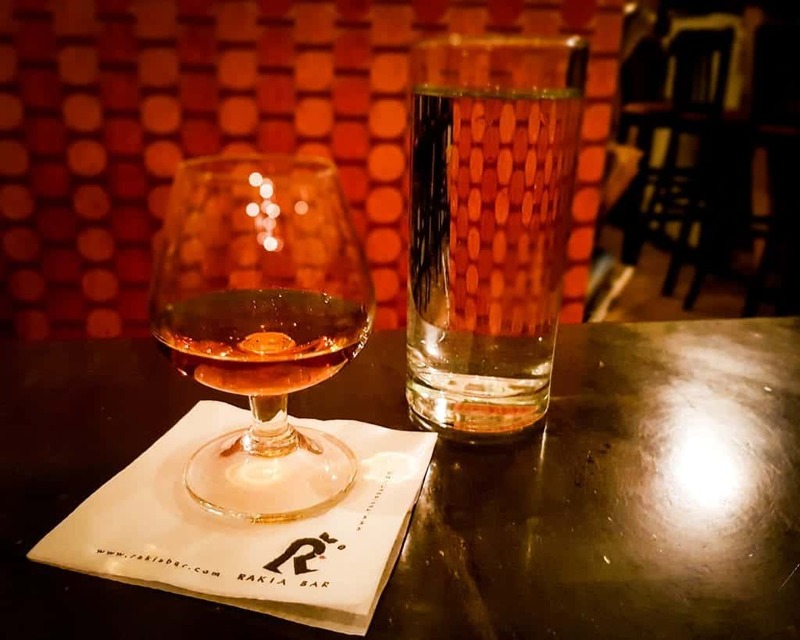 Rakija sneaks up on you – so drink wisely! Rakia (or rakija) is the ubiquitous fruit brandy found throughout most of the Bakans, and Kosovo is no exception. If you’ll be traveling around the region, you’re going to run into it whether you want to or not. I personally prefer spicier rakias to plain ones. Just remember, this is an apertif which is served often before food and should be sipped while eating small plates. Rakia on an empty stomach is a bad idea. 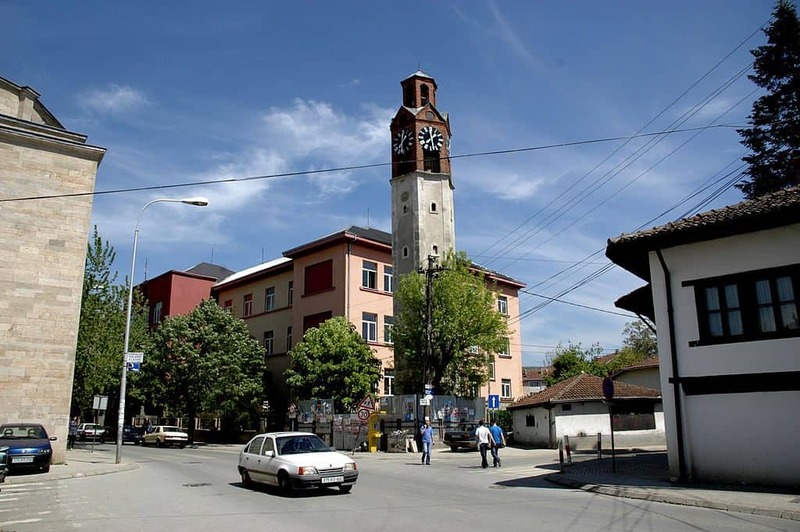 If you’re visiting Kosovo, don’t miss a visit to the Ethnographic Museum in the heart of the Bazaar area of Pristina. 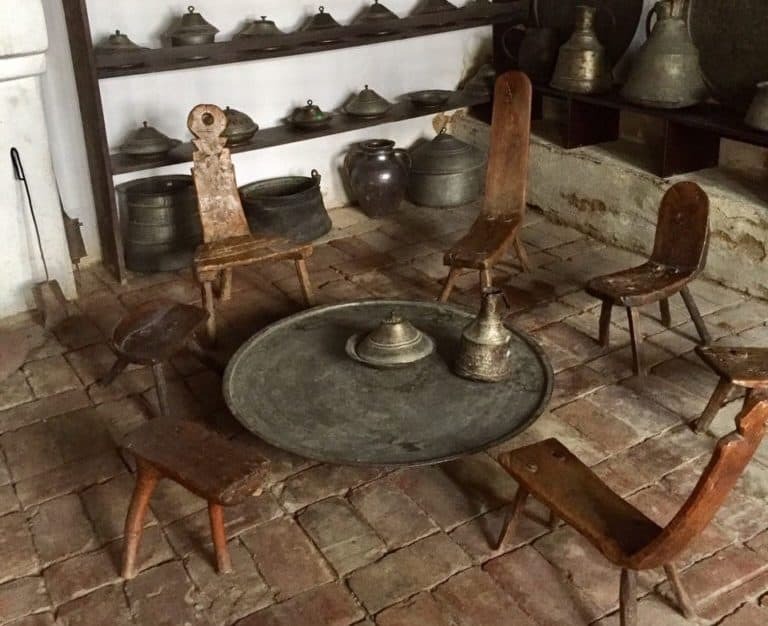 This museum is located in a beautiful traditional home, featuring all sorts of artifacts related to Kosovar life, with a particular focus on textiles and furniture you’d find in a traditional Kosovar household. If you’re lucky like I was, you’ll get to make the visit with the guidance of the curator, who will personally tell you all they know about the items on display. Gračanica Monastery (pronounced Grachanitsa) is a Serbian Orthodox monastery in a suburb of Pristina. Guarded by NATO troops, you’ll need a passport to enter. After visiting the monastery, check out the beautiful grounds, shop at the gift store, and observe the monastery’s nuns at work. 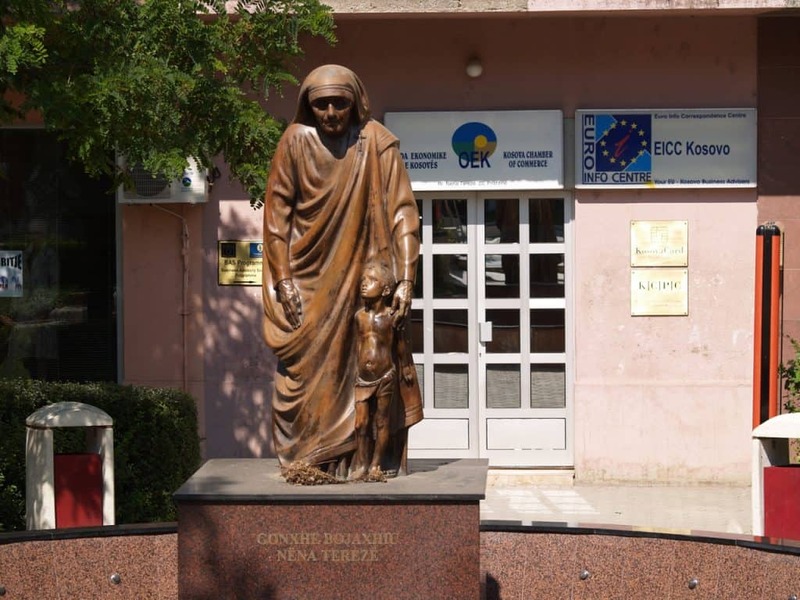 If you come out to Gračanica, make sure to stop by the Miloš Obilić statue outside of the monastery gates. 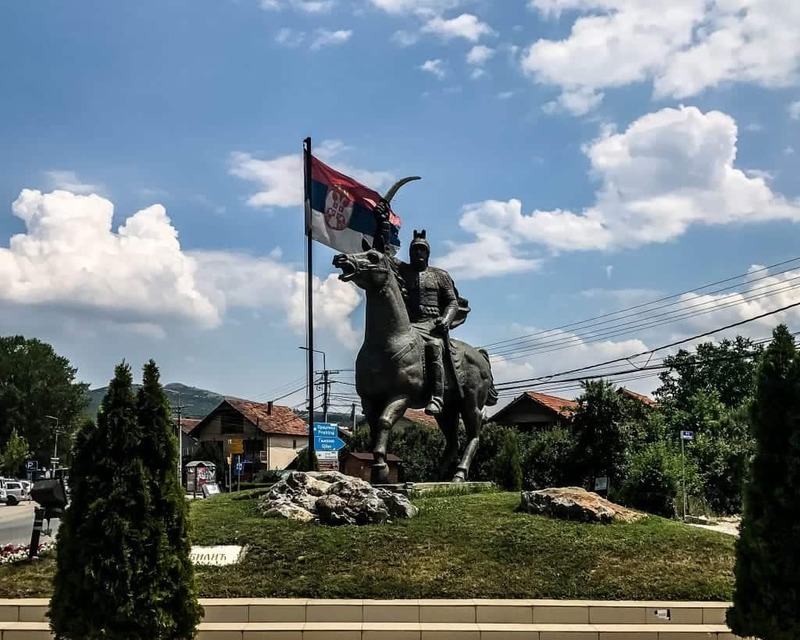 The statue honors the fourteenth-century Serbian knight and national hero who is supposed to have been the assassin who murdered the Ottoman Sultan Murad I. When you absolutely can’t eat another cevapi or grilled meat plate, Allison and I both love the Nepalese and Indian restaurant Himalaya Gurkha. Get the momos. Bonding over this unassuming restaurant at the back of a seemingly-abandoned mall is how Allison and I became friends in the first place (and why this blog exists). We owe it our undying gratitude. 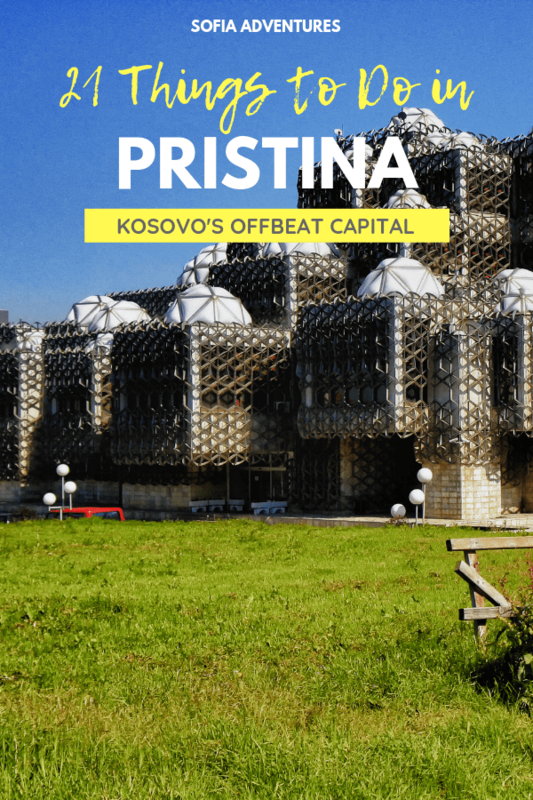 Headed to Pristina? We have some great travel resources to help you with your trip. You can check out our list of the city’s most Instagrammable places. We also have a Balkan currency guide which explains how money works in Kosovo and local tipping customs. If you’re still putting together your itinerary, here’s a great list of places to visit in Kosovo to help you choose. 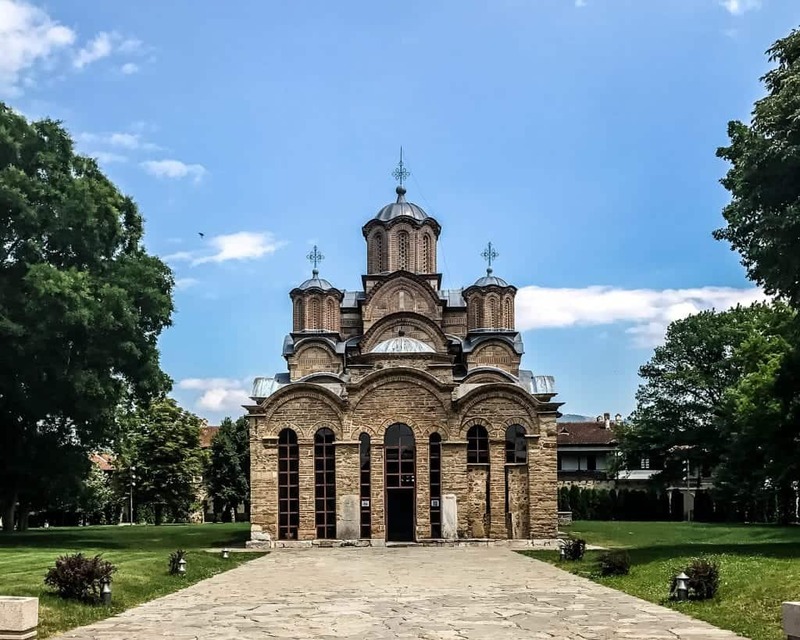 If this will be one of your first trips in the Balkans, check out our massive list of things to know before traveling the Balkans as well as our Balkan bus, road trip, and itinerary guides. We publish new articles and trip advice nearly daily! 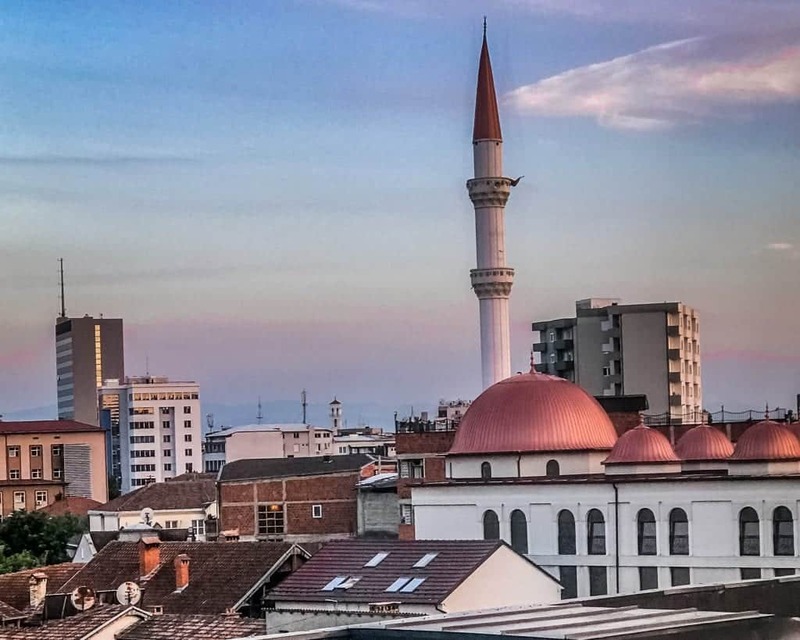 For more information about traveling to Kosovo and the Balkans, bookmark our Kosovo and Balkan travel pages, where you’ll find our entire archive plus anything new we publish before you leave for your trip. Finally, Don’t Forget Your Travel Insurance! I’m sure you’re aware that travel insurance is essential for Kosovo and for travel in general! This is especially true when you’re talking about traveling in a city where tourists can be targeted for petty theft. In addition, while the political situation in Kosovo is generally stable, the occasional flare up means you’ll be happy to know you have insurance to cover you if something goes awry. Allison and I have both been paying customers of World Nomads for the last three years. We love the peace of mind it gives us in case of emergencies, accidents, illnesses, theft, or trip cancellation or disruption. While Kosovo is perfectly safe to travel around, there’s always a risk inherent in everyday travel, so it’s better to play it safe. The saying goes “if you can’t afford travel insurance, you can’t afford to travel” is true! I have never thought of travelling in Kosovo. However, reading this article made me realize that there is a lot to discover out there. I will consider going there someday.